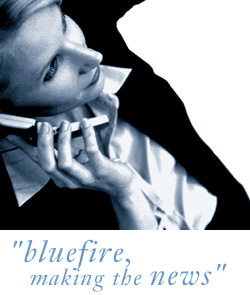 Bluefire Consulting | Information Security Analyst (CISSP) : "CISSP qualification" "information security analyst" "IT Audits "
We are looking to recruit an information security analyst, ideally with the CISSP qualification to join this multinational company based in Maidenhead. The ideal candidate would come from a technical information security background and is perhaps looking to move away from a formal technical role into a position that will allow them to further their career by owning the risk & security for the UK business. The role will own and manage the risk of security for the company across the European operation, which includes managing the internal and third parties Business Continuity Plans (BCP), Data Security Policy and implementation, audit internal and third party data security and IT functions with appropriate documentation as well as to own and manage rollout of Payment Card Industry (PCI) compliance to the operation across Europe and to partner 3rd parties. Due to the heavily outsourced and de centralised nature of the business model, information security represents a key challenge to the business and due to that, this new position has been created. Degree education or equiv experience. Strong IS technical background and a range of experience delivering IS projects across a multi site business. Detailed stakeholder management skills and confident, communication skills. Experience of working across Europe. Due to the European travel aspect of this role, the role would suit a candidate that has eligibility to work without restriction across the EU. "CISSP qualification" "information security analyst" "IT Audits "